A major new cutting edge radiotherapy treatment will be available in the UK thanks to £250 million of government funding to build two new facilities in Manchester and London, Public Health Minister Anna Soubry confirmed today. 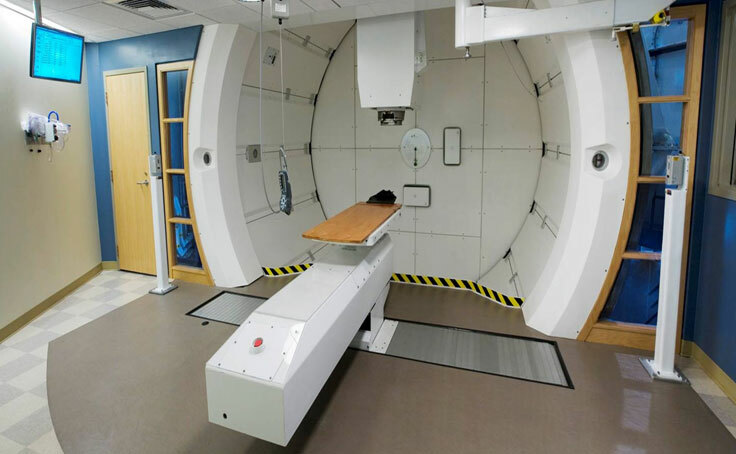 The therapy – Proton Beam Therapy – is a particularly important form of cancer treatment as it targets tumours more precisely with less damage to surrounding tissues. This can improve the quality of life following cancer treatment, reduces side effects, especially for children and, because the NHS will be able to treat more people, it will save lives. Currently, the NHS sends children and adults needing Proton Beam Therapy to the United States, but from 2018 it will be offered to up to 1,500 cancer patients at the Christie NHS Foundation Trust in Manchester and University College London Hospitals NHS Foundation Trust in London. The Prime Minister’s commitment to increasing access to advanced radiotherapy treatments will significantly improve the experience for patients and their families who currently have to travel long distances for treatment. College London Hospitals NHS Foundation Trust) after the Government today committed £250 million to bring Proton Beam Therapy (PBT) to the UK. publicservice.co.uk – Proton beam radiotherapy is coming to UK. Nursing Times – Nursing Times Proton beam cancer therapy coming to UK. Bloomberg – Proton-Beam Cancer Sites to Get $380 Million From U.K.
Business Week – Business Week Proton-Beam Cancer Sites Get $380 Million From U.K. Government.